TEHRAN (Tasnim) - North Korea showcased new intercontinental ballistic missiles (ICBM) it tested last year and a new type of short range missile during Thursday's large military parade, analysts said on Friday. The parade, marking the 70th anniversary of the founding of the North Korean army, was attended by leader Kim Jong Un and other senior officials, Reuters reported. Usually held in April, the parade took place this year on the eve of the opening ceremony of the Winter Olympics being staged in the South Korean mountain resort of Pyeongchang, just across the heavily fortified border. North Korean state media broadcast the parade, showing what appeared to be the Hwasong-14 and Hwasong-15 - the ICBMs test-launched last year for the first time. 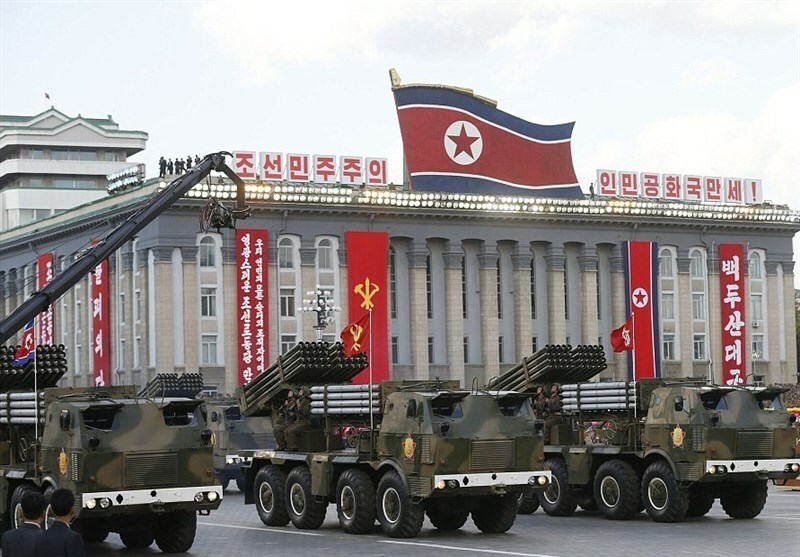 The two-stage, liquid-fuel Hwasong-15 made its parade debut, with four of the large missiles carried on nine-axle transporter-erector-launchers (TELs). The ICBM was successfully tested last November and analysts believe it to be capable of reaching the continental United States. North Korea’s latest display of its military hardware focused on missiles and less on tanks and artillery, suggesting it was trying to project the image of a country with advanced capabilities in warfare. A Reuters analysis shows there has been a gradual decline in conventional weapons on display since 2012, Kim Jong Un's first parade as leader, and a move to showcase more sophisticated weapons such as ballistic missiles.